While the aftermath of the financial crisis can still be felt in some areas of the economy, global dealmaking seems to be on its way to full recovery in 2014, with the uptrend forecast to continue in 2015. More mergers and acquisitions are naturally good news for investment bankers– both incumbent and prospective – since they translate in higher turnover, bigger profits and higher demand for investment banking jobs. While it’s obvious for anyone who’s been following financial news this year that there’s been a lot of M&A buzz, it’s a good idea to take a look at some numbers to get a grasp of how big exactly the buzz has been. The Financial Times recently quoted data from Thompson Reuters as showing that in the first three quarters of 2014, the value of mergers and acquisitions had hit as much as $2.66 trillion, with the amount marking a 60 percent increase year-on-year. Reuters reports that the second quarter in particular was the highest in deal volume since the second quarter of 2007 with M&A deals totaling $1 trillion. November alone saw two of 2014’s biggest deals – Activis’ $66 billion bid for Botox maker Allergan and Halliburton’s $34.6 billion offer for rival Baker Hughes which is set to merge two of the world’s biggest oil services firms. What is even more impressive, however, is that the M&A boom has not been limited to the healthcare or the energy sector, but is visible in almost every sector of the economy, unlike in the past few years when consolidation deals only emerged in certain industries. While the M&A boom might seem somewhat sudden to some, it can be interpreted as a logical development which follows the post-crisis period of caution among businesses. Some experts attribute the surge in activity to the strategies adopted by companies since the financial crisis. “We have been through a period where costs have been cut and a lot of the straightforward organic expansion has been done, so companies naturally turn to M&A as a way to keep growing”, Peter Tague, co-head of global M&A at Citi, recently told the Financial Times. Adding that to an environment of low interest rates and monetary easing programs which have supported equity markets worldwide, it is no wonder that a lot of companies feel that the time has come to pursue M&A deals and substitute cost cutting for expansion in their strategies. Gregg Lemkau, co-head of global mergers and acquisitions at Goldman Sachs, earlier this year told Reuters that what was notable about the deal activity in the first half of 2014 was that it was blue-chip companies that were doing the acquiring. “We have finally seen the return of the strategic acquirer,” Lemkau pointed out. With 2014 already points to levels unseen since the financial crisis, there is optimism that this is not a one-time phenomenon but rather the beginning of an uptrend. The USA Today in November quoted Jeff Golman, head of Mesirow Financial’s investment banking practice, as seeing the pattern continuing in 2015. The steady improvement in global M&A activity over the year is expected to result in an increase in advisory fees for investment banks. Forbes noted in a recent article that Thomson Reuters data point to an increase of 12 percent in fees for the industry as a whole in the third quarter as compared with the previous quarter. Looking at November’s mega-mergers, the five Wall Street banks which advised on the Actavis and Halliburton deals are set to reap $316 million in fees, according to an article in Bloomberg Businessweek. While the advisory fees are the main reason for investment bankers to cheer, the surge in merger deals is also good news for those who are yet to kick off their career in finance. More M&A deals mean more work which is likely to result in more positions opening up with investment banks looking to handle the increasing workload, assuming the applicants have the required investment banking and financial modeling training to perform the jobs. 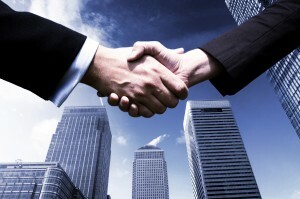 While even the best analysts cannot give 100 percent-accurate forecasts how long the M&A frenzy will continue and whether we have already seen its peak or it still lies ahead, the current deal activity is beneficial for the bankers’ paychecks and is also likely to provide more finance job opportunities for those looking to start their investment banking career.